TUCSON, AZ, AND DRIPPING SPRINGS, TX, 11 February 2014 – The stars at night remain big and bright deep in the heart of the Texas – thanks to the hard work and dedication of Texas Hill Country residents. The International Dark-Sky Association (IDA) announced today it has designated the first International Dark Sky Community in Texas. In naming the Dripping Springs International Dark Sky Community, IDA is pleased to recognize local efforts to protect and pre- serve the character of the nighttime sky over central Texas. A formerly sleepy ranching town settled before the Civil War, the city experienced massive growth in the last decade, seeing its population increase by some 72 percent between 2000 and 2010. The growth has been fueled by the economies of the nearby urban centers of Austin and San Antonio. Alarmed that future development could bring light pollution, concerned residents organized to protect the area’s famously dark night skies. Early on, the City Council became involved by adopting an Outdoor Lighting Ordinance (OLO) in 2000. The OLO was conceived by a group of local citizens led by the late John Gregory with the assistance of City Attorney Alan Bojorquez. Current and former City Councilmen and Planning and Zoning Commissioners then embraced and enhanced the provisions of the OLO. Since then, the city government has been a committed partner in protecting local dark skies. “We are all fortunate that the City of Dripping Springs has over a period of many years worked to reduce and prevent additional light pollution in the city,” said Cindy Luongo Cassidy, President of Texas-based Green Earth Lighting, who led the effort to secure IDA recognition of the dark skies over Dripping Springs. the lighting standards for the community. This results in reduced glare, light trespass, and skyglow while increasing safety, visibility, area attractiveness, and protection of dark night skies. “Dripping Springs is well on its way to securing a place as one of the truly night-sky-friendly communities in the United States,” IDA Texas Coordinator Stephen Bosbach said. 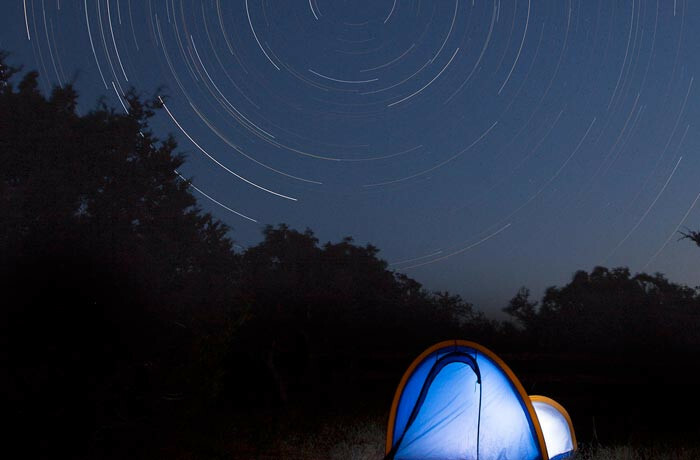 To help pass along the value of dark skies, the city has teamed up with the Hays County Chapter of the Texas Master Naturalist association to develop a light pollution education and outreach program conducted by local volunteer Naturalists. The volunteers will also carry out a plan to measure and monitor the night sky quality in the future. Residents hope that the IDA recognition for Dripping Springs will promote a movement across the Hill County to protect their exceptional night skies for generations to come. According to P. Wayne Gosnell of the Hill County Alliance, the OLO is a model for similar ordinances under consideration by communities throughout the 17-county Hill Country region. In naming the International Dark Sky Community, IDA “provides incentives to other Hill County communities to follow Dripping Springs’ lead in night sky preservation,” Gosnell said. Cassidy leads the effort to secure cooperation from cities along the Interstate 35 corridor to protect the dark skies of Central Texas by stemming the growth of new, wasteful outdoor lighting installations. She hopes other municipalities will follow Dripping Springs’ lead and invites them to participate in a “better lighting” symposium to be held there in September. IDA established the International Dark Sky Places conservation program in 2001 to recognize excellent stewardship of the night sky. Designations are based on stringent outdoor lighting standards and innovative community outreach. Since the program began, five communities, thir- teen parks and five reserves have received International Dark Sky designations. The International Dark Sky Association, a 501(c)(3) non-profit organization based in Tucson, Arizona, advocates for the protection of the nighttime environment and dark night skies by educating policymakers and the public on the subject of night sky conservation and by promoting environmentally responsible outdoor lighting. More information about IDA and its mission may be found at https://www.darksky.org. Ms. Michelle Fischer (City of Dripping Springs Administrator) mfischer@cityofdrippingsprings.com; +1 512-858-4725.